The major goal of communal forces is to polarize the communities along the religious lines. Gujarat violence (2002) was horrific. In this, after the burning of train in Godhra in which 58 innocents died, the same tragedy was made the pretext to launch the massive violence in which over one thousand people perished. 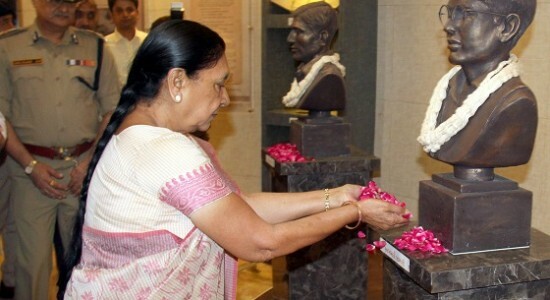 In the aftermath of that I got many occasions to visit different parts of Gujarat and also to come to know about two legendary youth who had laid down their life to protect the people when the communal violence was going on in Ahmadabad in July 1946. These two young men, Vasant Rao Hegishte and Vasant Rao Hegishte, close friends and workers of Congress Seva Dal, came to the streets to stop the killings. Vasant Rao trying to protect Muslims and Rajab Ali stood firm to save the Hindus. Both were done to death by the mobs. The activists in Gujarat started celebrating 1st July as the day of communal harmony. Recognizing this fact government in Gujarat has raised a memorial in their memory, Bandhutva Smarak (Brotherhood Memorial). In the news of coverage of this program what struck me was that while Vasant Rao’s relatives were present for the program, the relatives of Rajab Ali were not there. The acts of violence continued in the country after 1946 with increasing intensity. Relatives of Rajab Ali were targeted in the subsequent violence to the extent that first they started concealing their relationship with Rajab Ali, then started assuming Hindu names and finally some of them not only adopted Hindu religion, but also migrated to Canada and US! The person who stood for the amity of religious communities must not have envisaged that while he stood for such noble values, his own kin will be subject of attack by the divisive elements. This also reflects the trajectory of events where in India the Hindu-Muslim violence led to the condition where Muslims started feeling insecure. This in turn led ghettoisation. Today the percentage of religious minorities as the victim of communal violence is number of times more than their percentage in population. The ministry of Home affairs data of 1991, quoted by researches show that while Muslims were 12 odd percent in population then, they formed over 80% as the victims of communal violence. In the aftermath of Gujarat violence one also saw that while a large number of prominent Hindus and Muslims were part of peace efforts, at the level also activists of both communities came forward for peace efforts. Today with the new Government in power the number of communal incidents has gone up by 25% right in just one year. The overall direction of the intercommunity relations is on trial and the fate of peace maker Rajab Ali’s kin is a sad reminder of the state of affairs. Communal violence, violence in the name of religion, has been the cancerous phenomenon, which came into being with the colonial policies of British, policy of ‘divide and rule’. They introduced communal historiography where the religion of king became the central marker of his rule and his major policies related to taxation were down played. Kingdoms’ central focus of power and wealth was substituted by ‘religious identity’ and this was picked up by communal organizations. These communal organizations remained aloof from freedom movement and did their best in spreading hate against the ‘other’ religious community. Communal clashes began and there by a ‘social common sense’, which looks down on the other community; became the norm. The prevalence of myths, stereotypes, biases against minorities came in handy for the practitioners of communal politics in instigating the violence. The conclusions of investigation of communal violence and lately Yale University study tells us that, the areas where the violence takes place, the instigating communal organization becomes electorally strong and that’s what we are witnessing in India today. Climbing the ladder of violence the communal organizations come to the seat of power. With increasing violence many a leaders voiced their concern for peace and amity. Gandhi and his close associates were the main force for promoting amity, Hindu Muslim Unity being the central credo of Gandhi’s politics. Notwithstanding that; violence went on rising in intensity and people like Ganesh Shankar Vidyarthi went to the extent of laying down their lives to quell the riots, to save the innocents’, that’s what the victims of communal violence are. Today we are in a phase where the violence has changed its form; from the massive bloody phenomenon to sub-radar actions where the minorities get intimidated on some issue of mosque or a church or eating beef or some other social practice. The major goal of communal forces is to polarize the communities along the religious lines. What would a Gandhi have done in such a scenario? Many an experiments in peace have been floated, Mohalla Committees(Area level intercommunity committee), Shanti Sena (Peace Army), Awareness programs about need for harmony, interfaith dialogues, intercommunity celebration of religious festivals, promotion of films on harmony, Kabir Festivals have been popular amongst others. Social activists have also focused on getting justice for the victims of violence and promoting people to come together for programs cutting across religious lines. How to undo the ghettoization, how to create an awareness for amity overcoming negative perceptions does remain a challenge today, greater than ever before. The issue needs to be addressed to ensure that the likes of Rajab Ali’s kin do not have to hide or change their identity.